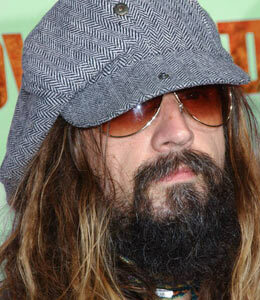 Rob Zombie Biography, Discography, Music News on 100 XR - The Net's #1 Rock Station!!! Born on January 12, 1966, in Haverhill, Massachusetts USA, Robert Cummings started his music career in the mid-80's with the formation of the New York City-based Hard-Rock act, White Zombie. In August of 1998, under the moniker Rob Zombie, Cummings, released his solo debut album, "Hellbilly Deluxe" on Geffen Records; the disc debuted at #5 on the U.S. Top 200 and at #2 on the Canadian Albums charts; soon after Zombie hit the road in support of the album, boasting one of the largest stage shows in Rock music. The album generated two Mainstream Rock top 10 hits, "Dragula" and "Living Dead Girl", plus the minor hit "Superbeast" and was eventually certified three times platinum. The next year saw the release of the remixes-album "American Made Music To Strip By", which peaked at #38 on The Billboard 200 chart. In the summer of 2000, Zombie wrote and recorded a new song called "Scum Of The Earth" for the "Mission Impossible 2" soundtrack, the single entered the top 30 of the Active Rock airplay chart. His next album of all-new-material, "The Sinister Urge", was issued in fall 2001, it featured a number of guest musicians including Ozzy Osbourne, Tommy Lee, Limp Bizkit's DJ Lethal, Mike of Beastie Boys and more; the 11-song set bulleted to #8 on The Billboard 200 Albums list spawning "Feel So Numb", which peaked at #10 on The Mainstream Rock chart; "Never Gonna Stop" hit #11 and "Demon Speeding" reached the #13 spot on the same chart, propelling the album to platinum sales. 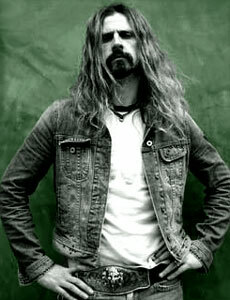 In 2003 Rob Zombie released a retrospective collection, "Past, Present & Future", which included White Zombie's cuts, outtakes and two previously unreleased tracks. The CD-DVD collection climbed to the #11 spot on Billboard's Top 200 chart and its main single, "Two-Lane Blacktop", entered the top 40 of the Active Rock chart. The shock rocker's third solo outing, "Educated Horses", arrived in March of 2006 and quickly ascended into top 5 on both U.S. and Canadian official albums charts. Zombie, a prolific video director in his own right having directed over twenty five videos, directed the video for "Foxy Foxy", the first single which rocked its way to debut at #8 on The Hot Mainstream Rock chart. "American Witch", the second single, was also a significant Active Rock radio hit, peaking at #12 on the Billboard chart. Two years later Rob Zombie scored a new Hot Mainstream Rock top 30 hit with "War Zone", the main song from the soundtrack to the action-thriller movie "Punisher: War Zone". 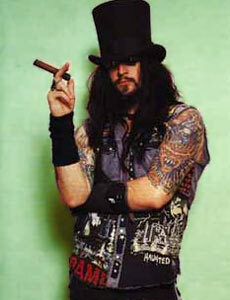 In late 2009 Zombie inked a new worldwide deal with Roadrunner Records through its Loud & Proud imprint. His next record, "Hellbilly Deluxe 2: Noble Jackals, Penny Dreadfuls And The Systematic Dehumanization Of Cool", was released in February 2010 peaking at #8 on The Billboard Top 200 Albums chart. It featured 11 brand new tracks including the promotional Active Rock top 40 singles "What?" and "Sick Bubble Gun". April 2013 saw the release of Rob Zombie's fifth studio album, "Venomous Rat Regeneration Vendor"; preceded by the Mainstream Rock top 20 hit, "Dead City Radio And The New Gods Of Supertown", the full-length disc hit #7 on The Billboard 200.